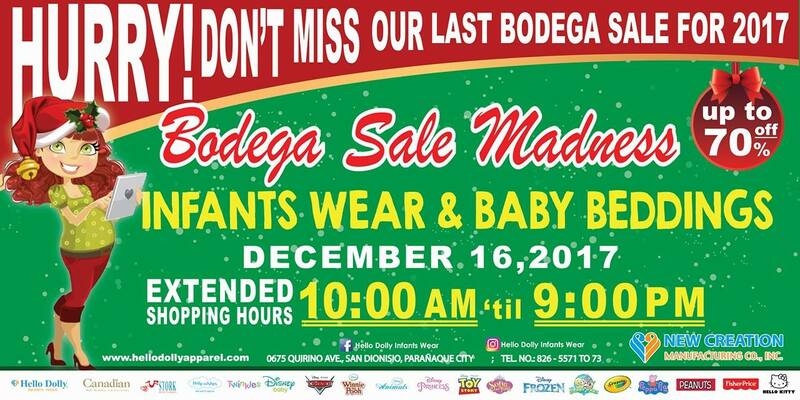 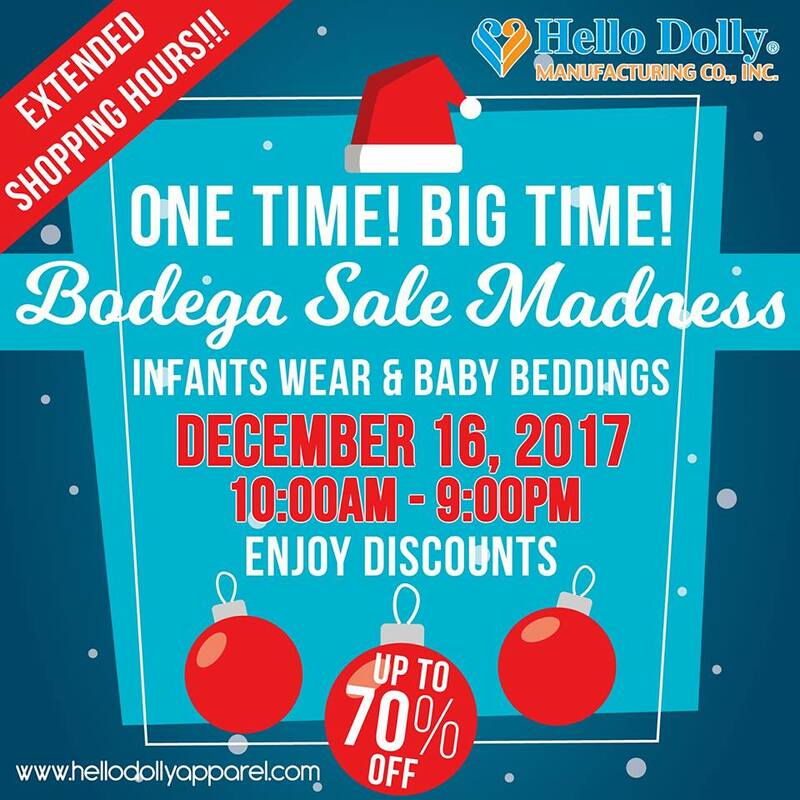 Shop til you drop with Hello Dolly's ONE DAY, BIG TIME BODEGA MADNESS SALE....now with EXTENDED shopping hours! 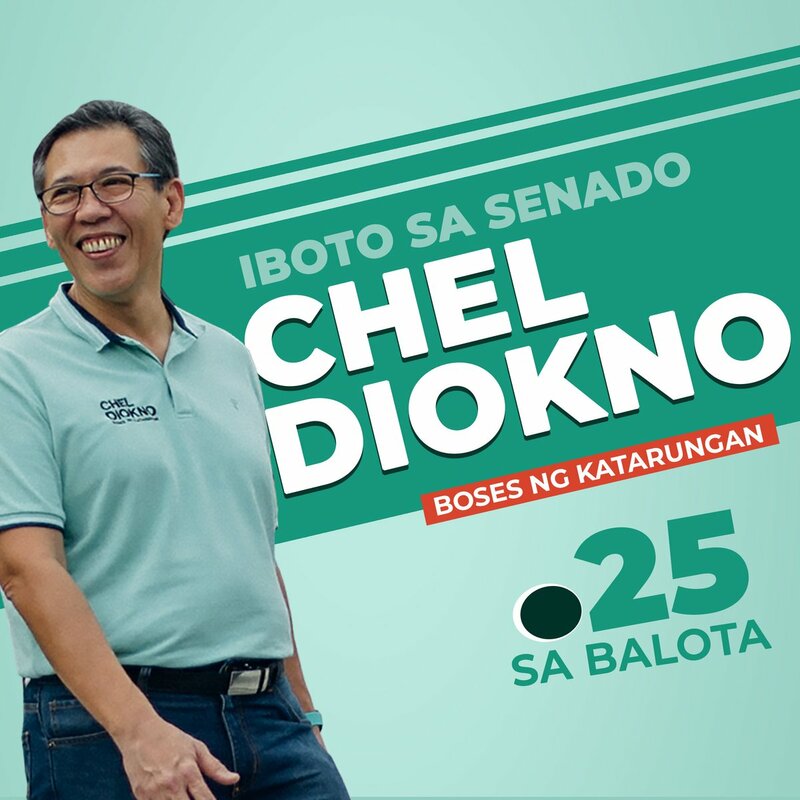 Check it out on December 16, 2017 from 10am to 9pm at Quirino Ave., San Dionisio, Parañaque. 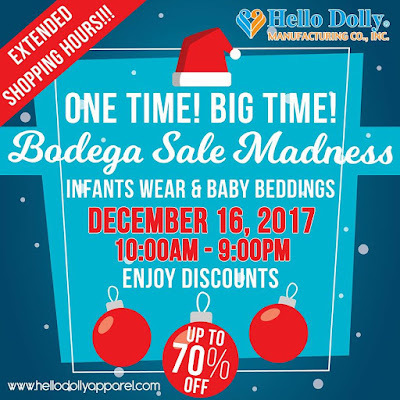 Get discounts of up to 70% on selected infants wear and baby beddings!